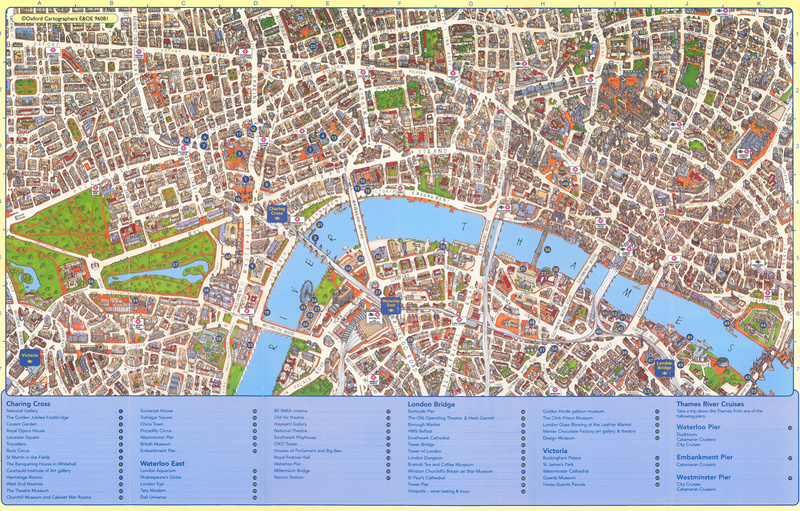 I recently managed to get my hands on one of my favourite maps of London. It is produced by G.W. Bacon and Co. Ltd and dates from around 1908. I like it for its clear cartography, the selection of pseudo 3D buildings (nice to see UCL in there) and the simplicity of the street network (only major roads are shown). 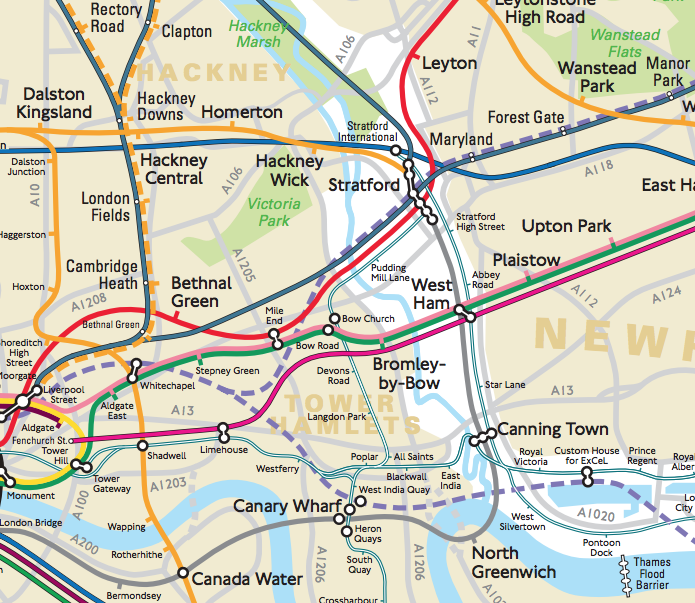 The muted colours used add to the uncluttered feel of the map and gives visitors the impression of clear routes to follow between London’s landmarks. Perhaps my favourite aspect of the map is the inclusion of the Franco-British Exhibition and 1908 Olympics stadium (below). 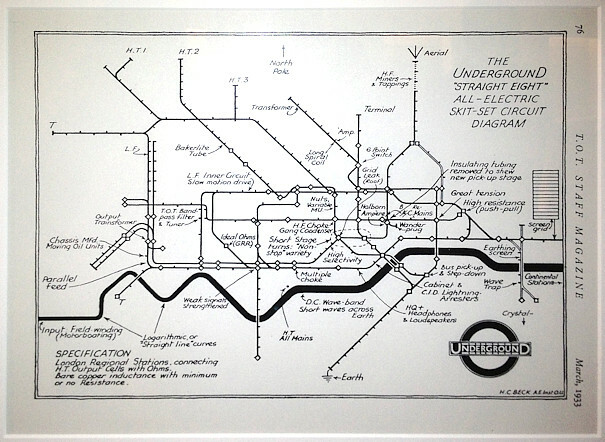 You can see that transport demands back then were slightly less than they are now with only two Tube stations serving the site Wood Lane (on the Central Line, now disused) and Exhibition (which I think is now the current Wood Lane). The area is now home to BBC Television Centre and Westfield Shopping Centre (bring back the exhibition architecture I say). I can’t seem to find much information about the map such as the exact date, approximate value, number printed etc so if anyone knows any more please get in touch! * Euston Station looking like the grand, classical station it used to be. * Waterloo Station has a line running through it, connecting with what’s now Waterloo East. * Lots of tube stations that are now closed or renamed – Westminster Bridge Road, Dover Street, Strand, British Museum, Post Office, Gower Street, Portland Road. * An oval street surrounding St Paul’s Cathedral. * Maple’s, a very grand looking building opposite the Cruciform, which is where the hospital is now. Isn’t Exhibition station now Kensington Olympia? A good find. As a child in the 1950s I had a jig-saw puzzle (from my Dad’d childhood) with almost exactly that map on it. If I can find it I’ll bring it in to show you. And we should ask our prof Peter Hall to comment: he knows the history of London so well. I think the station called Wood Lane is on the now Hammersmith and City, but in a slightly different place to the new Wood Lane. Exhibition is on the Central, close to the site of the current White City. I think the map may be wrong. 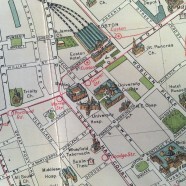 which shows the (correct) 1912 Bacon map. Very very interesting find ! I’m writing an article (in Dutch to start with) about the Hotel Cecil between the Thames and the Strand, and there it is in 3D on your map ! I’ll add a detail of this map to the article for clarification for Belgian readers, who are probably not always acquainted with the lay out of early 20st century London. 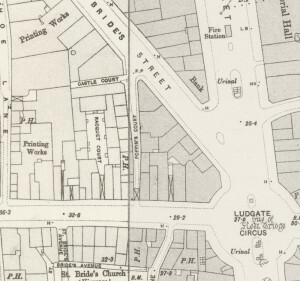 Elsewhere on the internet, I saw other very interesing maps of that period, indicating where all theatres in those days were situated. Keep up the good work ! 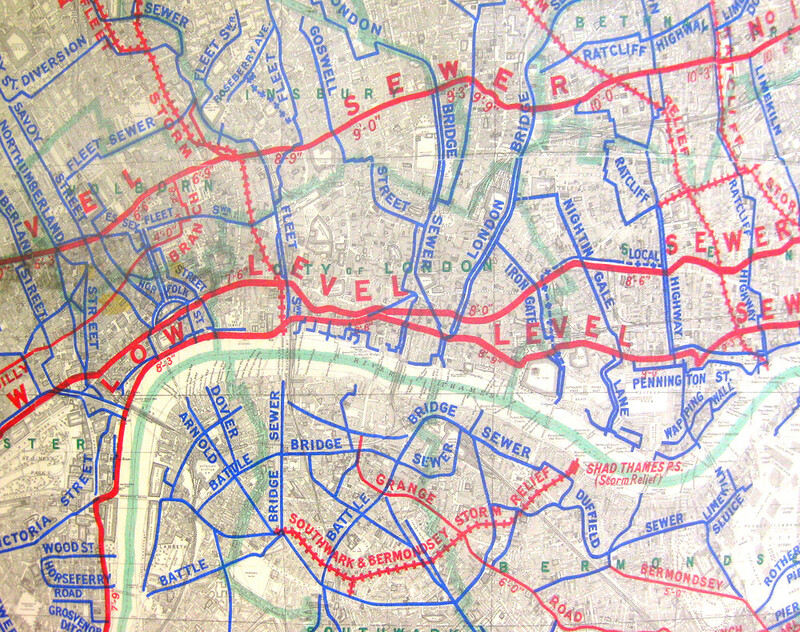 I just bought one of these maps and after a little investigation and with reference to some of the comments above it definitely seems to me that it dates from between 1908 (after the Franco-British Exhibition at Wood Lane) and 1912 (which is when the Central Line was extended from Bank Station on towards Liverpool Street and is not shown on this map). 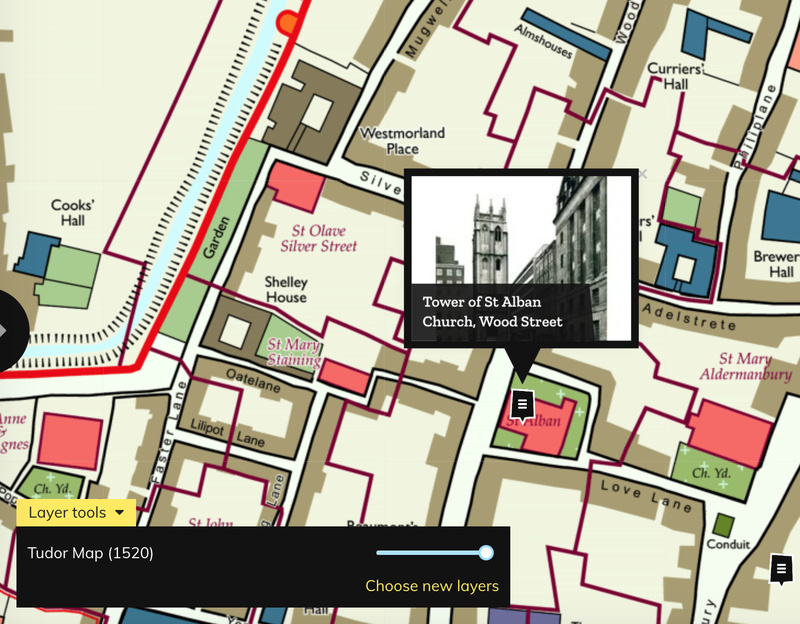 It is a fascinating map with some very useful information in the index / directory.